Meeting with the right coach is an effective way to discover and put into practice your hidden potential. A trained listener who matches well with you can help align your motivations with your actions, and your actions with your goals. 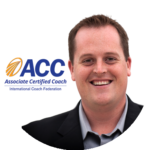 Why Should I Choose an ICF-Credentialed Coach? A coach who has been credentialed by the ICF has completed stringent education and experience requirements and has demonstrated a strong commitment to excellence in coaching. According to the 2010 ICF Global Consumer Awareness Study, 84 percent of adult consumers who had experienced a coaching relationship reported they thought it was important for coaches to hold a credential. Working with an ICF-credentialed coach ensures consumers they aren’t in a partnership with someone merely calling him or herself a coach. When you hire an ICF-credentialed coach, you can be assured your coach comes with highly recognizable, global coaching qualifications. Coaches credentialed by ICF have received coach-specific training, achieved a designated number of experience hours and have been coached by a Mentor Coach. If you are considering hiring a coach, be diligent in asking the coach whether he or she has been specifically trained in coaching skills and currently holds or is in the process of acquiring an ICF Credential. Don’t be misled into thinking someone is a competent coach because he or she has other professional credentials or sets high fees. Schedule a Coaching Consultation with Building Talent to identify the growth and impact you want to achieve.